France is one of Europe’s largest agricultural nations. Its agricultural production is highly varied, ranging from wheat to wine, from rice to sugar beets. The two film-makers Jörn and Tammo Gläser have visited the country’s most interesting regions with their cameras at various times of year and in a three-part DVD series they present cutting-edge agricultural machinery set off against impressive landscapes. This first part begins in the spring with soil preparation and sowing. 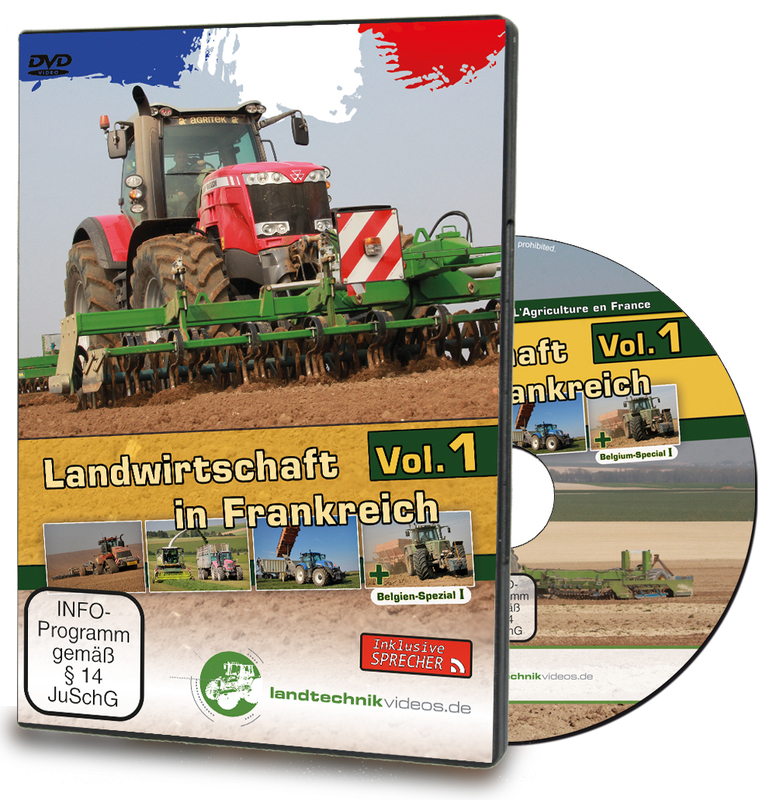 This involves numerous agricultural machines that are typical for France, recorded by the film-makers from the ground and from the air. Learn more about the significance of alfalfa cultivation or watch close up as a machinery contractor harvest peas. Cutting-edge agricultural equipment in impressive landscapes – a mix that’s sure to impress!